The average worker can expect about a 3 percent pay raise in 2015, according to a 2014/2015 compensation planning survey released by consultancy Mercer. While that's good news for many employees, getting a raise is only half the battle. Knowing what to do with it is the other half. The worst thing you can do is increase your level of existing debt by financing something new, like a car or house, before you're ready. "Increasing the money you spend on lifestyle choices, like going out to dinner more or taking another vacation, don't usually benefit us in the long term or give us more financial peace," said Andrew McFadden, certified financial planner and founder of Panoramic Financial Advice. There's nothing wrong with spending some of your raise. McFadden suggested a 50-50 split. "Balance the reward with delaying gratification by paying down debt," he said. "Use 50 percent toward discretionary spending so you get to realize some of that raise upfront, but then use the other half to reach your financial goal." In other words, have a little fun -- you worked hard and deserve to enjoy it a little -- but avoid making choices that will increase your overall standard of living. "The most common mistake I see people make is to increase their lifestyle to match a new raise," said Dominique Broadway, personal finance expert and CEO of Finances Demystified. "If you're constantly increasing your lifestyle based on the raises you receive, you'll always be living paycheck to paycheck." I've Had My Fun -- What's Next? If you don't want to use 50 percent of your pay raise to go wild, that's okay, too, said McFadden. "If you can do more than my 50-50 recommendation that's great. The quicker you complete your first financial goal, the faster you can move on to your second." With that in mind, here's where you should direct your new financial windfall. "When you're looking to make progress in your financial life, the biggest impact can generally be found by paying off high-interest debt, like credit card balances," said McFadden. Often people maintain a card balance that they can't quite pay off. "A raise gives you the perfect opportunity to start attacking those loans," he said. Pay the card with the highest interest rate first. This method will be the cheapest, since you'll be paying down your highest-interest debts first. Even so, it can be frustrating to keep chipping away at a large balance, only to feel like it's barely budging. That's why she offers the next suggestion. Pay the card with the lowest balance first. "If you're a person who needs more instant gratification, it's okay to focus on the card with the lowest balance first," she said. Getting just one loan paid off can help a saver gain much-needed momentum and stay the course to pay off the rest. "The key is to choose the method that will keep you motivated to keep paying down those balances," she said. If you don't carry credit card debt, or you've already paid it off, the next place to park your salary raise is in your emergency savings fund. "I'm a savings person, I think cash is king," said Broadway. "I believe that having an emergency fund is more important than having no debt." Savers should strive to sock away between three and six months' worth of living expenses, depending on how the rest of your financial situation stacks up. "If you have a lot of high-cost debt, save to the three-month point, then switch gears and target your debt," she said. "Once that debt is paid off, you can build your emergency savings account to six months' worth of income." Having a cash cushion is about more than just having the funds to fix the roof if it starts to leak. "If you're at the point where you want to switch careers or can't stand your job, you'll probably need a cash cushion," said McFadden. "If you don't have the back-up savings necessary to make a transition, you're out of luck." Once you've put away enough money into your emergency fund, it's time to target retirement savings. "If you have an employer-sponsored retirement account that offers a match, take advantage of that right away," said McFadden. In fact, a 3 percent match is akin to a 3 percent pay raise. It's free money for those who choose to take it. After maximizing your employer match, what you do depends on your tax situation. If you're in a lower tax bracket, McFadden suggests a Roth IRA, for those who qualify. Note that income limits start phasing out at $116,000 for single filers. "If you're in a 25 percent tax bracket or higher, it probably makes sense to take advantage of the tax deferral available through your 401k," he said. For the fortunate few who are already maxing out their retirement plans, the next place for your salary bump is right at home. "Paying down your mortgage is even more important than paying off your student loans," said Broadway. "Every time you make a mortgage payment, you're building equity in your home." The same can't be said of student loans. While it's nice to have the balance paid off, "you can't go back and borrow from it if you need to, in the event of an emergency," she added. While many workers will see a salary bump this year, not all industries -- or workers -- are treated the same. If you're not slated for one, you should be prepared to ask for one. According to a recent piece published in the Harvard Business Review, there is an art to asking. Come to the table prepared to talk about the specific contributions you bring to the team. Have you saved the company money? Received glowing comments from customers? These are things your boss will want to know when she decides who is getting a raise -- and who is not. Related: Should I Contribute to My 401k or Pay Off My Credit Card Debt? Knowing when to ask is just as important as knowing that you have to ask in the first place. Contrary to popular opinion, during the annual review is the worst time to ask. Your manager is likely overwhelmed with the competing needs of her entire team and won't have the adequate time to review your request. Instead, initiate the conversation right before you take on new responsibilities or just after successfully completing a high-visibility task. Remember that the conversation is about you and the value you bring to the team. It's not about what your colleague is doing or your outside financial obligations. 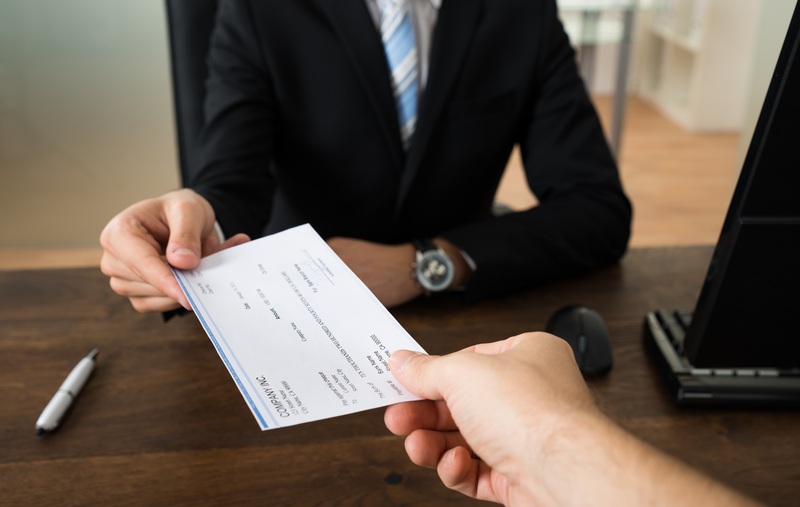 Stick to these three strategies and next year, when you receive your pay raise, you'll know exactly what to do with it. This article, The First Thing You Should Do With Your Paycheck After Getting a Raise, originally appeared on GOBankingRates.com.